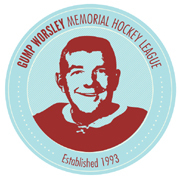 The Delta Sturgeon have finalized their playing roster for the 2018-2019 Gump Worsley Memorial Hockey League season. As always, there were some surprises when the final cuts came in. Final cuts for the Sturgeon included Tyler Motte, Jordan Schmaltz, Kris Versteeg, and in a suprise Scott Hartnell. “I really thought I added enough grit to this club that I would be playing another season for the Sturgeon. Unfortunately, Management seems to have moved in a different direction here. I am going to keep working out and hope that I get picked up by another team during the season”. Scott Hartnell was a pivotal member of the club’s 3rd line the last two seasons, but it seems like the club is trying to get faster on the wings, and there simply was no room for both him and Kyle Okposo as the ‘slower more physical players’. On top of that, the offseason acquisition of superb 2-way forward Jonathan Toews was bound to make one of the veterans expendable. One surprise is that the Sturgeon will enter the season with 10 defensemen on the active roster. That will require some juggling by the coaching staff to get everyone some ice time. Speaking with Coach Martin after the pre-season camp on lineups. “We have a lot of interesting combinations we can deploy thanks to the acquisition of Chara and Toews. Chara can play against the top offensive players in the league, and we’ll start off with him and Ekblad in a shutdown role. However, his defensive ability will allow us to pair him with anyone to create a solid defensive pair. As they gelled well defensively, it’s looking like Jake Muzzin and Colton Parayko will be a good puck moving pair who are also solid defensively. Everyone else, including long time Sturgeon Alex Goligoski will be fighting for icetime and they need to prove that they should be in the lineup.